What can be done to deter pharmaceutical companies from jacking up prices of critical drugs? To prevent Wall Street banks from excessive gambling? To nudge CEOs into taking a longer-term view? To restrain runaway CEO pay? Answer to all four: Fulfill Bill Clinton's 1992 campaign pledge. 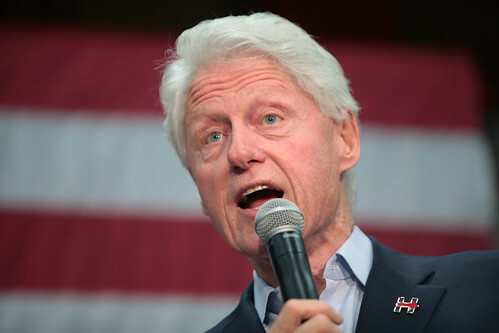 When he ran for president, Bill Clinton said he'd bar companies from deducting executive pay above $1 million. Once elected, he asked his economic advisers (among them, yours truly) to put the measure into his first budget. My colleagues weren't exactly enthusiastic about the new president's campaign promise. "Maybe there's some way we can do this without actually limiting executive pay," one said. "Look, we're not limiting executive pay," I argued. "Companies could still pay their executives whatever they wanted to pay them. We're just saying society shouldn't subsidize through the tax code any pay over a million bucks." "Why not require that pay over a million dollars be linked to company performance?" said another. "Executives have to receive it in shares of stock or stock options, that sort of thing. If no linkage, no deduction." "Good idea," a third chimed in. "It's consistent with what the President promised, and it won't create flak in the business community." "But," I objected, "we're not just talking about shareholders. The pay gap is widening in this country, and it affects everybody." "Look, Bob," said the first one. "We shouldn't do social engineering through the tax code And there's no reason to declare class warfare. I think we've arrived at a good compromise. I propose that we recommend it to the President." The vote was four to one. The measure became section 162(m) of the IRS tax code. It was supposed to cap executive pay. But it just shifted executive pay from salaries to stock options. After that, not surprisingly, stock options soared -- becoming by far the largest portion of CEO pay. When Bill Clinton first proposed his plan, compensation for CEOs at America's 350 largest corporations averaged $4.9 million. By the end of the Clinton administration, it had ballooned to $20.3 million. Since then, it's gone into the stratosphere. And because corporations can deduct all this from their corporate income taxes, you and I and other taxpayers have been subsidizing this growing bonanza.